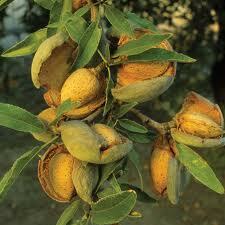 Sweet Almond Oil (prunus amygdalus) is rich in minerals, vitamins and proteins. One of the top choices of Aromatherapists , it is good for all skin types. A very good massage oil and beneficial for dry skin, it also helps relieve itching and dryness. It is reported to be soothing, lubricating, softening, revitalizing and nourishing. Good for sensitive or irritated skin. This oil is a very pale yellow with a slight nutty odor. It is an excellent skin lubricant and contains olein glyceride linoleic acid.